The intense emotional connection that the drama has with its viewers overwhelms the team behind it. 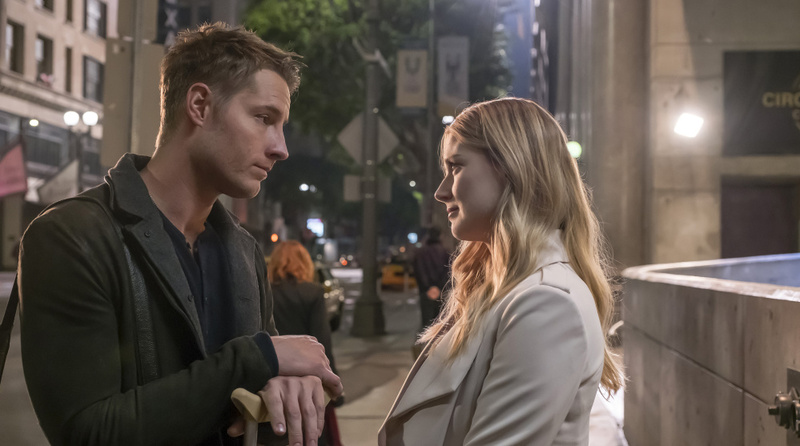 If you’d have told Dan Fogelman that a television family drama would inspire the kind of fanaticism usually reserved for genre storytelling – rife with conspiracy theories and connect-the-dots analysis – he wouldn’t have believed that twist. Even now, it doesn’t quite register. This spring, Fogelman, who created this season’s breakout drama “This Is Us,” was in the throes of production on his upcoming feature film, “Life Itself,” starring Oscar Isaac and Samuel L. Jackson – and one question, he said, emerged as most pressing on that set. “People are making a beeline for me as soon as I get to work to ask about how Jack died,” he says sheepishly by phone. “This Is Us” tracks the stories of a family at different stages in their lives. Milo Ventimiglia and Mandy Moore star as the central parents, Jack and Rebecca Pearson, with twins played by Justin Hartley and Chrissy Metz, and an adopted son played by Sterling K. Brown. Early in the series, which jumps back in forth in time from the couple’s early days with young kids to the children’s lives now as adults, it is revealed that Jack has died – but when and how exactly it happened have yet to be explained – creating a howdunit element of intrigue amid the exploration of the pleasures and twists of everyday life. So how did Jack die? “On a slow day, I get asked that question a couple times a day,” Ventimiglia says weeks after the show aired its season finale. But even before making its TV premiere, the NBC ensemble drama had people talking. When a 2½-minute trailer for the series dropped last May, it racked up nearly 15 million views in a little over 48 hours after its release – this despite a vague title and concept and a less-than-megastar cast. The trailer now stands as a home movie flashback in the “This Is Us” biography. The series, which is produced by 20th Century Fox TV, has emerged as a rare beacon of hope in an increasingly fractured television landscape by demonstrating that a big network success is still possible. Its freshman season averaged 15.3 million viewers and a 4.8 rating in the advertiser-coveted 18- to 49-year-old demographic when live-plus-delayed viewing over seven days was factored in, according to Nielsen – helping NBC claim the No. 1 spot in the key demographic this season. Impressive numbers and data are nice, sure. But the cast feels the show’s reach every time they step outside. The gut-punch is largely because of the way the show’s narrative passes back and forth through time – scooping out those passing moments from one episode and revealing the obscured hurt or pain or joy there in another. “The West Wing,” says Fogelman, was informative in the shaping of the series. “I always loved how (Aaron) Sorkin played with time in that show,” Fogelman said. “You would sit and Leon would be up against it, having a problem in the present day, and then they’d flash back to the day he first met Jed Bartlett. That always stuck with me. It’s something I reference a lot in the writer’s room. That doing that would help make the drama one of the It series of the season is just a nice perk. And there are others too, like: a two-season renewal and a plum post-Super Bowl spot in 2018. Fogelman, though, is trying to keep his head down in an effort to stay truthful to the mission statement he started out with – even as the chorus of people wanting to know how Jack dies grows. He’s fully aware of the expectations and anticipation surrounding that, and now finds himself in a place where keeping scripts under wraps is this weird thing he has to consider – a safeguard usually taken on such plot-heavy shows as “Lost” and “Game of Thrones” rather than character-driven stories.